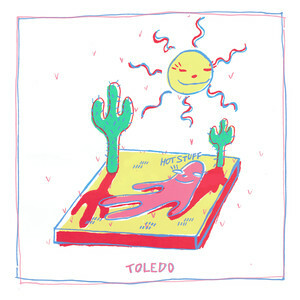 Brooklyn-based indie rock band TOLEDO was one of the first bands I covered here at Left Bank, and I’ve loved them ever since. They are indie rock in its truest form: ambient, nostalgic but innovative, all jangly guitars and upbeat drums and perfectly imperfect vocals that sound like the first time you and your friends ever sat around in the garage playing music for music’s sake. It’s being young and sad and excited and hopeful at the same time, having absolutely no idea where you’re going but a great time getting there.